The sphere is an ancient symbol for the infinite and eternal universe. Gold is a source of beauty, incorruptibility and riches since time immemorial. Even the word “gold” has a wonderful spherical roundness in the mouth when spoken, echoed in the smooth metallic curve of the sculpture. 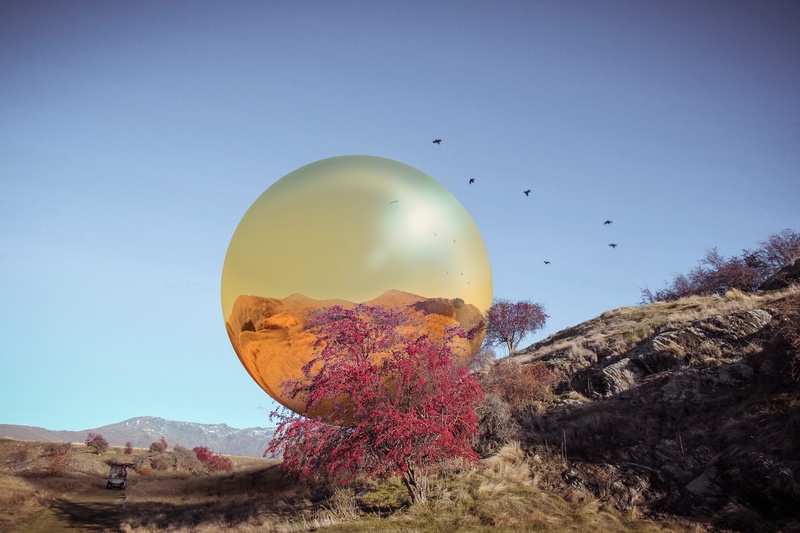 Imagine this grand philosophical monument nestled in the rugged hills like an extra-terrestrial interloper from a distant star cluster; a giant golden soap bubble reflecting those same hills imbues with its own rich, warm lustre, allowing it to become part of the landscape. All in one and one in all. 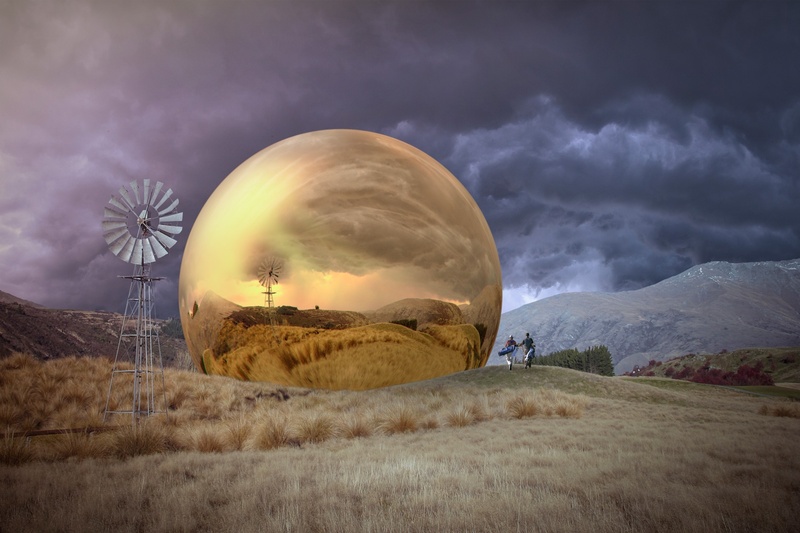 Goldsphere is site specific. It playfully alludes to the Michael Hill jewellery empire and to the gold mining and prospecting history of the Arrowtown area. The shape also suggests a golf ball, tying the sculpture to the purpose of the golf course itself. Visible from a distance, Goldsphere offers an enigmatic and alluring accent to the surrounding vista. Imagine it setting off by the clear, bright winter light and fabulous autumn foliage Arrowtown is famous for. Up close it is a shining, minimalist reminder that there are more things in heaven and earth than dreamed of in our philosophy. 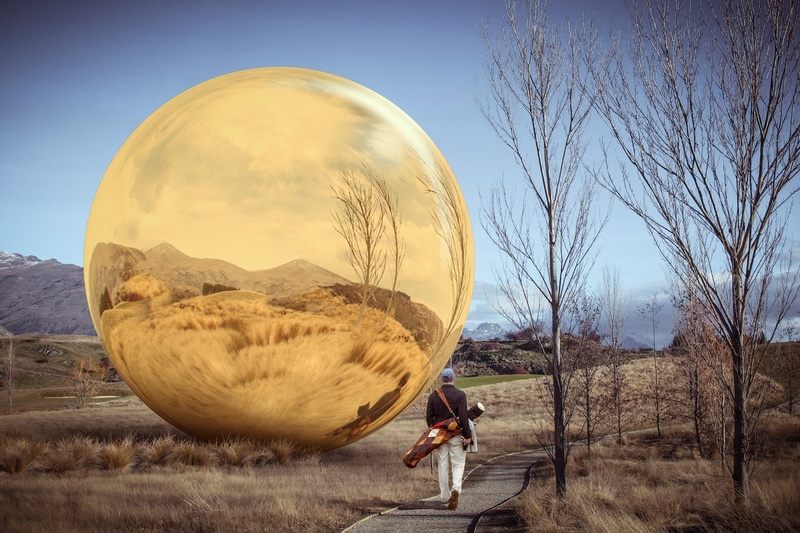 GoldSphere can be produced by Global Stainless in Taranaki, they produce work for Anish Kapoor. The sphere would be made in 6mm thick high grade 316 stainless, then polished to gold mirror finish.